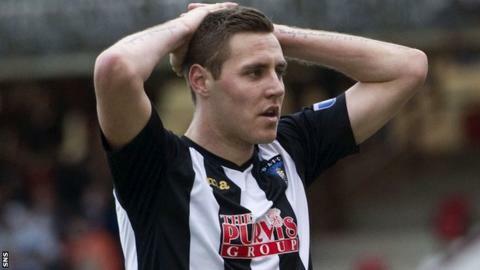 Dunfermline's attempts to exit administration could be hindered by a legal challenge concerning the club's training ground. However, Pars United, who are trying to take control of the Fife outfit, are hopeful such a scenario can be avoided. Former club owner Gavin Masterton has a lease with the local council for the Pitreavie training complex and Pars United want that deal to end. But Masterton has lodged an interdict to stop the deal being ripped up. A court hearing has been set for Monday and Bob Garmory, of Pars United, says the group has "every faith" in administrator BDO and their legal team. He admits the potential "deal breaker" is another hurdle the group could have done without but is hopeful a resolution can be achieved. earlier this year after facing a winding-up order over unpaid tax of £134,000. The East End Park club were subsequently deducted 15 points and were eventually relegated to Scotland's third tier via last season's play-offs. but the prospective owners recently revealed that to survive the season. Hence, maintaining the lease may have an adverse effect on the club's financial sustainability. Jim Jefferies' side are currently second in Scottish League One and are due to host East Fife on 19 October.